The greatest crime of them all, just so happens to be the first one. It should have stopped here. Kevin Keegan is the most important person in the history of Newcastle United. He was, even before Mike Ashley bought this great club. Ashley disrespected Keegan, went over his head, he chose Dennis Wise instead of him, signed players against his wishes, sold players against his wishes, violated his employment contract, refused to return his calls and ultimately forced a man who loved Newcastle United to walk away. Keegan took Ashley to a tribunal and they ruled in KK’s favour. He was awarded £2 million (plus interest accrued) according to severance clauses in his contract, which the club never paid him after his departure. The club officially admitted to the panel that they deliberately misled the media and the fans. Kevin Keegan has never returned to Newcastle United, or St James Park, in any capacity. Following on from the departure of KK, there have been many a strange signing at Newcastle United under Mike Ashley. However, these two are symptomatic of everything that we have seen since. Xisco – a £5.7 million pound signing that would turn out to be one of the club’s worst ever strikers. Gonzalez – a loan signing that was done in the interests of everyone but Newcastle United and eventually led to the resignation of Kevin Keegan. I do not need to repeat the YouTube story – we all know it – but these two help to go some way to explaining the sheer mismanagement behind the signings since then.. step forward Shefki Kuqi, Stephen Ireland, Curtis Good, Romain Amalfitano, Luuk De Jong, Emmanuel Riviere, Facundo Ferreyra, Henri Saivet, Seydou Doumbia, Islam Slimani and Joselu. Kinnear took over from KK, despite having been out of football for five years and not had a successful spell as a manager of any team since Wimbledon in 1999. As well as the results on the pitch, he quickly embarrassed the club by launching a verbal tirade against the press in which he swore and abused journalists over 70 times. He would then go on to forget the name of his own players (Charlie Insomnia). He would leave the club dangling around the relegation zone. Newcastle were relegated for the first time in the PL era. Mike Ashley would later sue Tony Jimenez and he in return would then accuse Mike Ashley of insulting the Dubai Royal Family. (We are only at number 4). Where do you start with this one? The man partly responsible for running Kevin Keegan out of the football club. Wise did such a bad job at the club that he was forced out in the end. This is a man who since leaving Newcastle United, has taken every single opportunity he can find via the media to have a go at fans, defend Mike Ashley, and generally ‘stick it’ to Newcastle United. 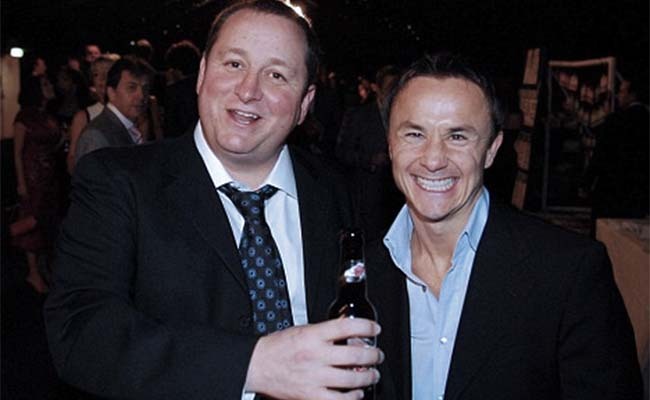 It was recently claimed by the Times that Dennis Wise is now affiliated with the football club again by advising Mike Ashley and quite astonishingly having some sort of dialogue with Justin Barnes and Lee Charnley. When Alan Shearer came back to Newcastle United I took the afternoon off school, ran to SJP, and sang my heart out outside the Milburn steps. Newcastle were relegated but Ashley verbally agreed to Shearer that he would become the man to see the club out of the Championship. That would be the last time they would ever speak. Shearer has since gone on to become an outspoken critic of Ashley, and in response Ashley renamed ‘Shearer’s Bar’ outside of the stadium, and refused to allow an Alan Shearer statue to be placed on SJP property. A horrific way to treat arguably Newcastle’s greatest ever player. Newcastle United were relegated from the Premier League for the first time under Mike Ashley. Only two years previously Newcastle were playing in the UEFA Cup having finished 7th in the league in the previous campaign. Mike Ashley, and Mike Ashley only, took Newcastle United from European adventures in Alkmaar, Frankfurt and Palermo, to Cardiff and Swansea in two years. By the 8 June 2009 the club was officially put up for sale by Mike Ashley. 10 years later, here we are. Recruited largely because he was a friend of Ashley from the casino business. A major factor in the sales of key players from the first team squad, as well as the appointment of Joe Kinnear, and the decision to change the name of St James Park. Llambias was recorded slagging off Newcastle legends Kevin Keegan and Alan Shearer. If you are sceptical though, and would like a second opinion, then I am sure fans of Glasgow Rangers would happily give you their opinion on Llambias. There is no doubt that Chris Hughton saved Mike Ashley a heck of a lot of money by getting Newcastle United back to the Premier League at the first time of asking. How did Ashley repay him? By sacking him, despite Newcastle doing relatively well in the table. Since then, Chris Hughton has proved himself to be a far greater manager, and in some cases, a far greater character than most managers appointed since. The atmosphere at St James Park has been lifeless for a while now. It wasn’t always this bad though, even in the Mike Ashley era. The 3,000 strong singing section in the Leazes/Milburn corner provided a great atmosphere at times with the whole section standing and singing for 90 minutes. The year we were in the Championship it was bouncing, and the same goes for the season after, especially under Chris Hughton. Mike Ashley killed it. Why? Who knows. The atmosphere at SJP has never recovered. The sacking of Chris Hughton was a crime in itself but he was replaced by a man whose sheer arrogance and character was a stain on Newcastle United’s history. More on Alan Pardew and his Newcastle United can be found here. At the time I wrote this, many fans of other clubs left sceptical comments, turns out Newcastle fans were proved correct after all. 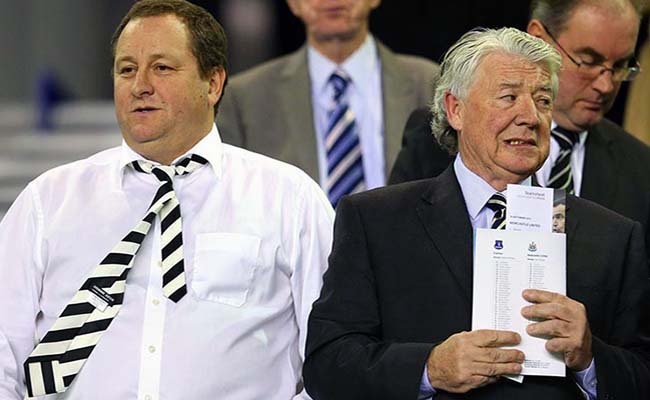 Despite Joe Kinnear contributing to Newcastle United being relegated in his first spell, as well as disrespecting players and journalists, Mike Ashley brought him back again. As Director of Football Kinnear did nothing, and actually failed to make a permanent signing while in the job. However, he wouldn’t let that get the better of him and gave a Talksport interview in which he again mispronounced names of Derek Llambias, Yohan Cabaye and Shola Ameobi. Kinnear would then claim he signed Dean Holdsworth at Wimbledon for £50,000 when it was £650,000, sold Robbie Earle even though he retired a year after Kinnear left, signed Tim Krul, even though he made his Newcastle debut at Palermo in 2006, and said he won the Manager of the Year award three times, despite the fact he won it once. Thankfully there isn’t a #take3. Lee Charnley is a man out of his depth. He is (I think) the lowest paid managing director in the Premier League. He has been the sole official representative of Newcastle United during the worst periods in its history. Apart from the very odd stage managed occasion, he never speaks to the media. Nothing has been invested in Newcastle’s academy during Mike Ashley’s time at Newcastle United. Only three players have seriously made it through to the first team in this time; Andy Carroll, Tim Krul, and Paul Dummett. The first two made their debuts before Ashley came to the club. Since then, what we have seen? Nothing. A mad footballing region, and a huge catchment area for talent, gone to waste. A win ratio of 15%. He won 3 games and oversaw a run of eight defeats in a row. 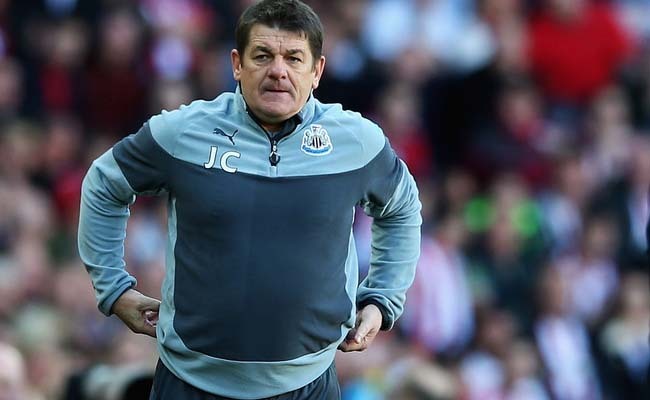 Carver would be a constant defender of the Ashley regime during his time as manager with excuse after excuse. He once confessed that he thought he was the best coach in the Premier League. Fans were reduced to watching some of the worst performances they have seen on Tyneside. Newcastle survived on the last day of the season. The above quote comes from the tribunal leading a disability discrimination lawsuit against Newcastle United by Jonas Gutierrez. The player claimed that he was not selected by the club because he had cancer, and the club did not want to trigger any sort of appearance-related bonus. In the tribunal, Gutierrez’s mother claimed that the way Newcastle United had treated her son, led her to contemplating suicide. The club’s lawyer accused Gutierrez, of being “just in it for the money”. In an era in which advertising is an incredibly lucrative business for football clubs, especially in the Premier League, Mike Ashley has allowed Newcastle United to give FREE advertising to his company Sports Direct for 11 years. It is claimed that Sports Direct is now only allocated what the club does not sell. Yet when you consider that almost all of St James Park is emblazoned with Sports Direct logos, you would have to suggest that failure to sell the majority of your advertising is a crime in itself, never mind giving it to Sports Direct for free. The club has said in the most recent fans forum that Sports Direct will now pay something to Newcastle United for advertising that outside businesses don’t take up. However, a statement from the club accounts in 2016 suggests we have been told this lie before: “Sports Direct International and the Company are in the process of agreeing an arms length rate for these services”. There are a lot of bad companies out there that you could choose to have sponsor your shirt, for instance, gambling companies sponsoring football are now the norm. Yet, Mike Ashley somehow managed to take it a step too far with Wonga. Wonga represented everything that was wrong about payday lenders in this country. Perhaps Mike Ashley could get away with it if he owned Chelsea or Fulham (no disrespect) but when you own a football club in which the majority of the fanbase come from low-income communities, where some people cannot secure credit cards and are in some cases taken advantage of by companies like Wonga… you couldn’t help but feel this was all just a sick joke. Newcastle United has no board. “From a business operations point of view, the club has a senior management team which meets regularly and has an awareness of all aspects of the club on a day-to-day basis.” Who is this senior management team? Nobody knows. According to the club, Lee Charnley, (appointed by Mike Ashley) makes the major decisions. Sheer stupidity, or yet more lies? A bizarre appointment that with the value of hindsight, just seems even more bizarre. A man whose immediate previous four jobs were failed stints at Wolfsburg, Nottingham Forest, a return to FC Twente, and Derby County. Yet Mike Ashley deemed him fit to be the manager at Newcastle United. Similarly to Alan Pardew, not a lot of explanation is needed, but you can find my 50 reasons here to sack Steve McClaren. Incredibly, Mike Ashley gave McClaren a sizeable sum to spend in his only summer in charge of the club. 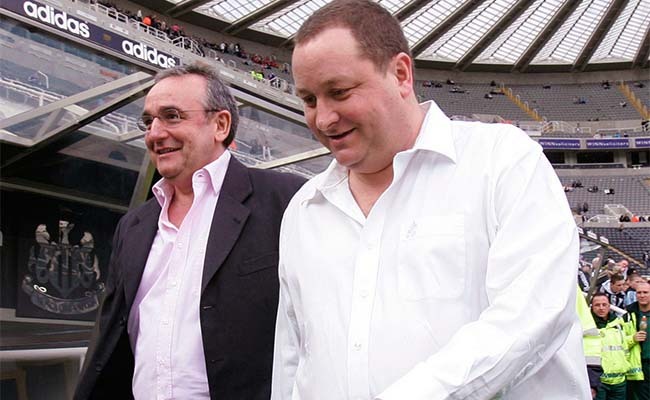 If you are to see Mike Ashley at a Newcastle United game, he is invariably sat in the middle of two men who have influence over his decision making capabilities at Newcastle United. Are they directors? No. Do they sit on the board? No. Do they have any official role at Newcastle United? No. So why are they the ones who are representing the club at home and away fixtures? The first relegation could have been deemed an honest mistake. The second, coming only a year after Newcastle survived on the final day, is unforgivable. At the time of relegation, this was the 6th relegation in the club’s 123 year history. 33% of those featured in only 8 years of Mike Ashley’s ownership of the club. Before Mike Ashley took over, Newcastle had only been relegated three times since the end of the war. Come May 2019, Mike Ashley may have matched that in only 11 years. Campaigners addressing the gambling problems in the UK have described the number of football clubs who are associated with betting firms as ‘disturbing’. Needless to say, Mike Ashley’s Newcastle United are one of those clubs. Moving swiftly on from payday lenders, Newcastle are now sponsored by Fun88. Only very recently did the FA fine Newcastle United for placing Fun88’s logo on the kids’ shirts. There really is no moral compass when it comes to Mike Ashley’s Newcastle United. Newcastle United’s transfer record is £16,500,000 million. Highest fee spent by Mike Ashley is £14,500,000 for Gini Wijnaldum. During his reign he has sold Andy Carroll (£35m), Yohan Cabaye (£20m), Moussa Sissoko (£30m), Gini Wijnaldum (£25m), Aleksandar Mitrovic (£22m) for fees far greater than Newcastle’s transfer record. So where has the money gone?